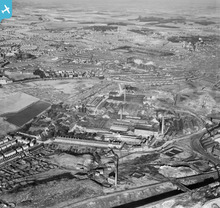 I lived at West Dene for the first three years of my life before moving 500 yards away to Royal Grove. After much study I have changed my mind. 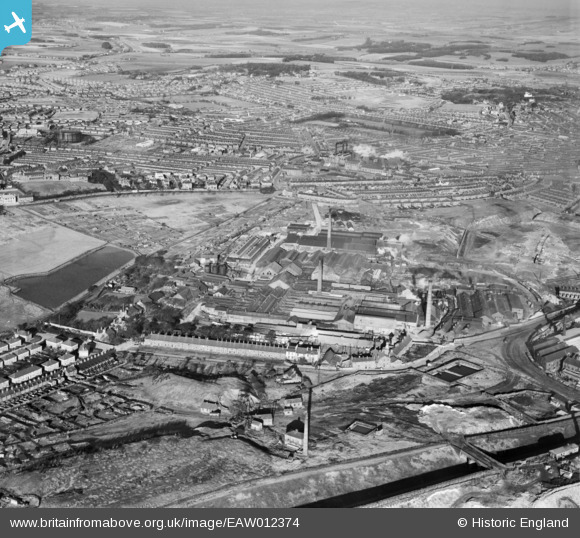 The dark area in the foreground could be the railway cutting on the Liverpool line, the black smoking chimneys look like the carpet factory in Eccleston Street and in the centre Croppers Hill with the Old West Park Grammar School on Prescot Road.